An interesting detail on the airframe of the early Ki-48 (and also Ki-21) were the rubber-sleeved slots in the fuselage top for the "semaphore" signalling indicators. In the representational sketch above they are shown in the raised position. 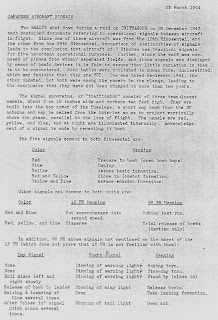 Maru Mechanic records the colours of the indicators as yellow, red and white, although an intelligence document describing these fittings on the Ki-21 records them as red, blue and yellow. The indicators were hinged like "trafficators" on an old style car and could be raised using a throttle-like control quadrant situated on the starboard side of the cockpit opposite the pilot's seat. Please note that the plan drawing in the Maru Mechanic on the Ki-48 shows the slots to the starboard side of the centreline, which is wrong. Photographs clearly reveal that they were situated to the port side of the centreline as shown in the sketch. The photograph below shows the indicators on a Ki-21. 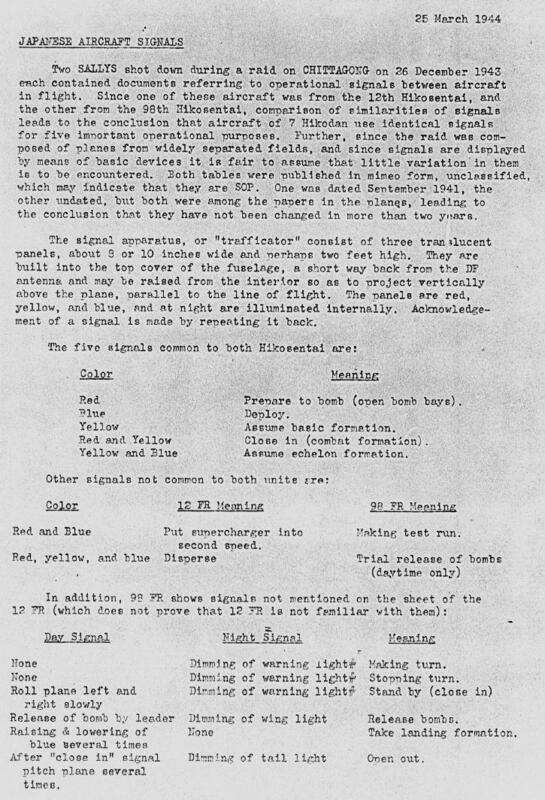 According to the 1944 SEAC intelligence document reproduced below the indicators were illuminated at night and it appears that different units used them for different types of signals. 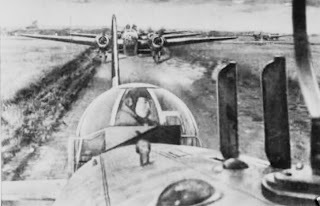 The co-ordination from bombardier to pilot and between aircraft must have been carefully practiced but there is very little reference to them and they are seldom seen in photographs. 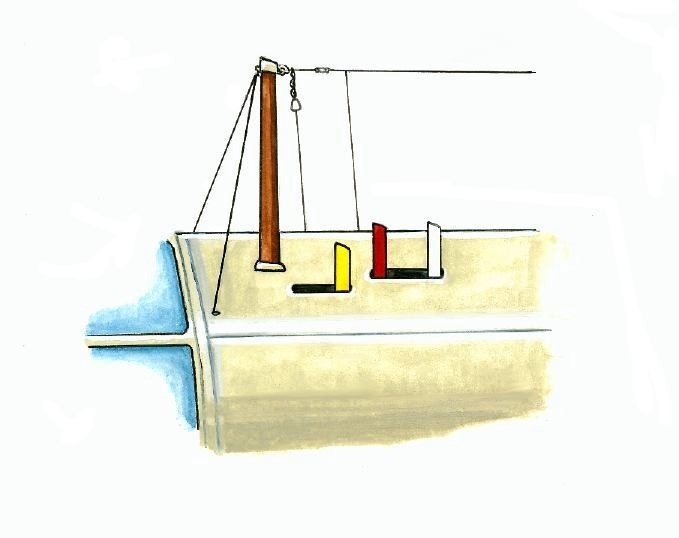 A study of photographs also reveals several different configurations and colours for the wooden radio aerial mast on the Ki-48 with an early variety depicted here finished in the red-brown primer, and with a pair of stabilising wires running forward to anchor the mast. Two wires run down from the main aerial to fittings on the starboard fuselage side from where they connect to radio equipment inside the fuselage. A later style had wires running down to attachments on the inner face of the engine fairings. Careful study of photographs will reveal the various configurations and it is apparent that some aircraft had the mast painted in the main airframe colour. It is possible that including these details on the AZ Models 1/48th Ki-48 model may draw attention away from the supposedly incorrect nose shape - but I cannot guarantee it. It would be interesting to know from how far away these visual signals could be clearly distinguished. I would think the separation between planes during night flights would be very wide.